Wow you have a lot on! Initiate of Stone sounds very interesting – the names you have picked are wonderful. There is a lot of information there so your challenge will be – as you say – introducing it all without too much backstory. If you can manage to do that you have a very intriguing story. Good luck! Phew, just reading about your year leaves me exhausted. You do like to be active don’t you. Your ‘Initiate of Stone’ looks to be most interesting and if rewriting the opening chapter was the problem, it sounds like you’re well on your way. I can’t tell if that means the rest of the book is done, or will follow once you’ve completed the current chore. But if you’ve completed the rest it looks like you’ll soon have a possible ‘Book of the Year’ on your hands. I know I overcommit. It’s one of the way I try to self-medicate. Then again, it could be the manic coming out (crud). The Margie Lawson course was only $50 USD though, so while it may be a commitment, it’s not too hard on the pocketbook. Joining challenges and setting deadlines really helps too. It keeps me on track, evdn when I think it’s not going to happen. I find the time for the things I love. The rest of the book is done, but is in need of revision. Once I’ve done with the first chapter, it’s going to be moving much faster, there’s not so much writing of new stuff, but revising/deleting existing. I’m hoping for more good this year as well. Though I must say that what I’ve already done is very satisfying. Thanks, David. I hope this year brings you all sorts of good too! Mel- just a thought but could Fer’s resentment of her master be due to her own frustration at her lack of control over her destiny? She wants to marry and yet she can’t if she becomes an Agrothe. She wants so much but she knows she can’t have it all. What do you think? I don’t go every year, but the CAA conference looked good this time around and it was posted in a timely enough manner that I was able to book a couple of vacation days for it. You could just do the Saturday if you want. I think they have a daily rate and you still might be able to get in on some of the workshops or pitch session. Oooh, that could be very cool. I’ll look into it, especially since my in-laws live in Wasaga! So much work, Melanie! I love it! 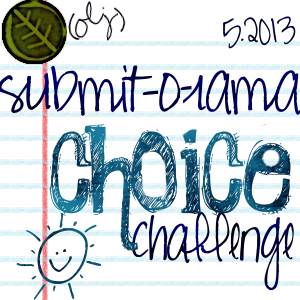 Can’t wait to see what the Just Write Challenge helps you complete. Maybe we need to think of a single annual best-of-Just-Write anthology? Write on! Kasie, that would be awesome 🙂 We should get together and discuss it sometime. Truthfully, I can only devote the time and money I do because Phil and I have chosen not to have children. I have so much respect for those of you who have career, children, and somehow find the time to write as well. You are all amazing! So you are inspiration to me 🙂 Honour what you do. Feel proud and let that validation carry you through to brilliant success! Melanie, I’m amazed at what you’ve accomplished! Congratulations – glad all your hard work is paying off in acceptances. I attended the Missouri Writer’s Guild Conference over the weekend, caught up with friends from last year and made new friends. I love conferences! I’m lagging behind on the WP.org – I’m glad you are researching it. Thanks for stopping by and commenting, Marilyn 🙂 Will you be blogging your conference experience? Some things I’m very slow at. The WP.org thing is one of them. I’m taking my time. Yes, I plan to starting tomorrow. I’m terribly slow these days, Melanie. Shame on me! I didn’t feel too great Sat. night and left after the banquet. It will be in the blog this week! Thanks for asking.